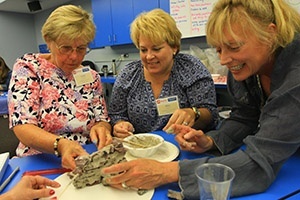 Thinking About Attending a Teacher Educator Institute? One of EiE’s crowning achievements is our Professional Development (PD) program. 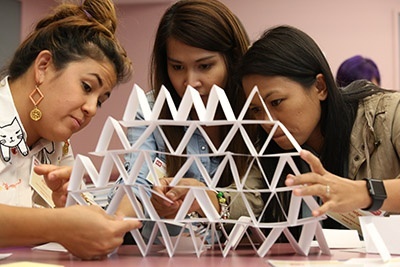 Elementary educators who come into our workshops knowing almost nothing about engineering leave feeling like EiE experts. But as much as our PD staff would love to show every single teacher the best practices to implement EiE, they can’t be everywhere at once. 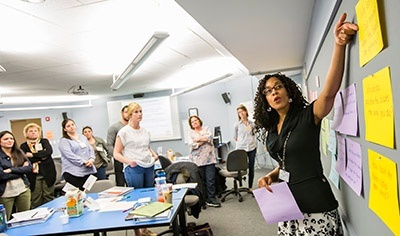 So when a district or school needs to prepare many teachers to implement EiE and provide the long-term support they know their teachers need, they send their professional development providers to one of our Teacher Educator Institutes. 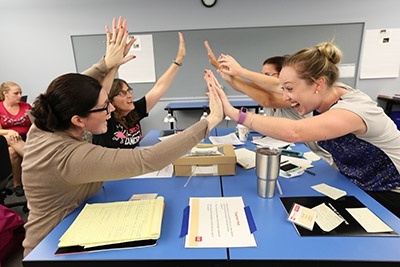 At these workshops, PD Providers and teacher leaders learn more about EiE, improve their teaching practice, and have a total blast working with the EiE team! We will be hosting a 3-day Teacher Educator Institute at the Museum of Science, Boston on October 18th–20th, 2017. If you've been thinking about attending a TEI, read on to learn more about these one-of-a-kind workshops! There’s still time to register for our upcoming TEI at the Museum of Science, Boston on October 18th–20th, 2017. TEIs are not a spectator sport! After you leave the TEI, you’ll feel prepared to facilitate EiE workshops using our interactive model. Our PD providers demonstrate effective questioning strategies that encourage deep thinking and reflection on design choices, which you can then pass on to the teachers in your own workshops. By engaging with EiE through hands-on exploration of multiple units, you’ll experience EiE lessons as a facilitator, teacher, and student. TEI graduates are EiE experts. We’re confident that our TEI graduates are all future EiE ambassadors. We make sure you’re ready to field questions from teachers and administrators about EiE by educating you on all the “whys” and “hows” of our curriculum—why did we arrange the activities the way we did and how does that support learning and engagement? When you explore our units firsthand, you’ll feel equipped to explain EiE inside and out. Gain confidence and make a difference! EiE is an engineering curriculum unlike any other—our strong research base, commitment to reaching underserved populations, and crosscurricular approach make us unique. When you attend a TEI, you’ll learn all about our core values and how to communicate them to the teachers in your own workshop. You’ll leave feeling confident in your knowledge of engineering and technology and the role they play in the lives of students and teachers. If you’re ready to make a difference in the lives of teachers and students in your district, then we can’t wait to meet you! Sign up for our October 18-20th TEI today.